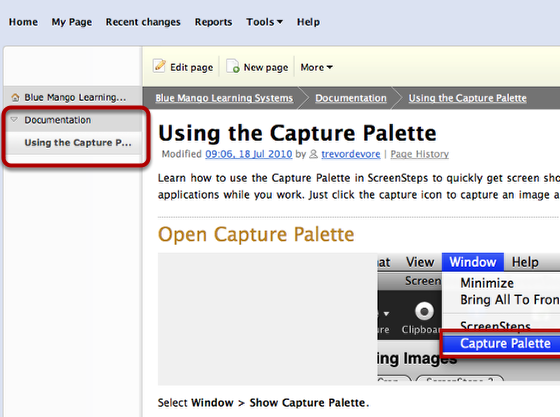 This lesson will show you how to create a new page in Mindtouch using a ScreenSteps lesson. 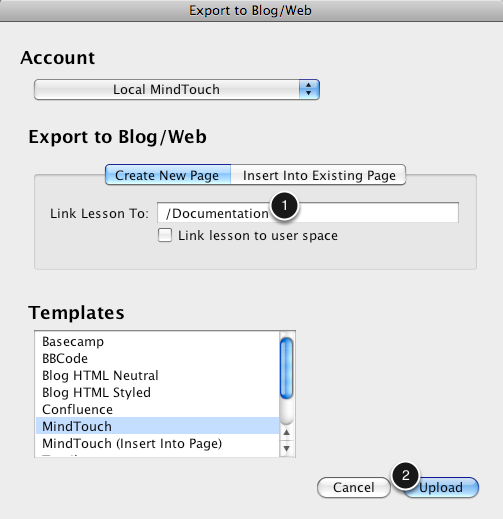 Open the lesson you want to create a page in Mindtouch with and select Blog/Web from the Export menu. After selecting the Mindtouch account you will see a screen that looks like this. The Create New Page tab will be selected by default. 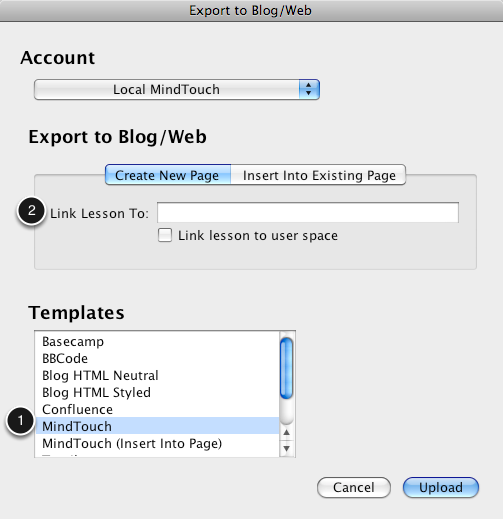 Unless you have created your own custom template you should select the Mindtouch template (1). If you want to make the new page a child page of an existing page in Mindtouch you can specify a path in the Link Lesson To field (2). Let's look at how to get the path to a parent page. In your browser, navigate to the page that you want to link the page you are creating to. 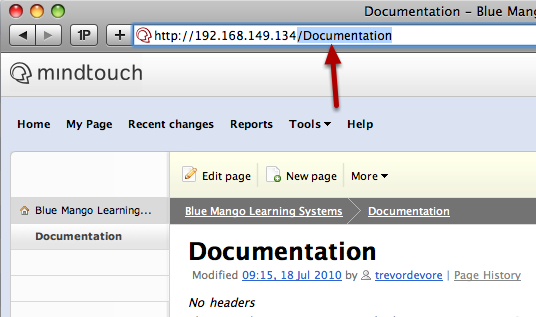 In this example I'm going to link my new page to the Documentation page. Select the path portion of the url in your browser as demonstrated in this image and copy it to the clipboard. Now paste the path into the Link Lesson To field (1). Click the Upload button to begin uploading the lesson (2). After the lesson has finished uploading click on the Visit button to view the new page in your browser. As you can see, the page has been created in Mindtouch and is a child page of the Documentation page.